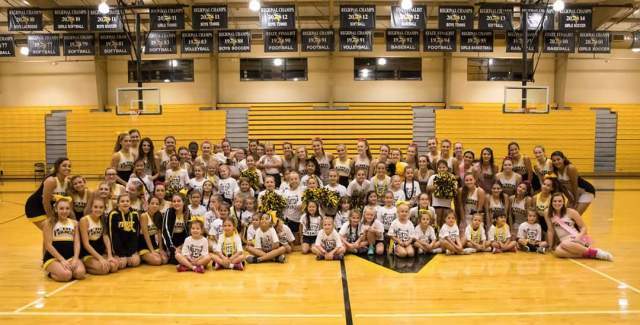 For 30 years, Bishop Verot Cheerleaders have been hosting a cheerleading clinic teaching girls from Kindergarten to 6th grade cheer routines. The Saturday clinic is a great introduction to cheer and a lot of fun for both the cheerleaders and participants. Some of today's cheerleaders were once particpants in Little Bit of Spirit themselves - hoping to someday be cheering for the Vikings. * Check-in at 6:00 p.m. / Game time at 7:00 p.m. 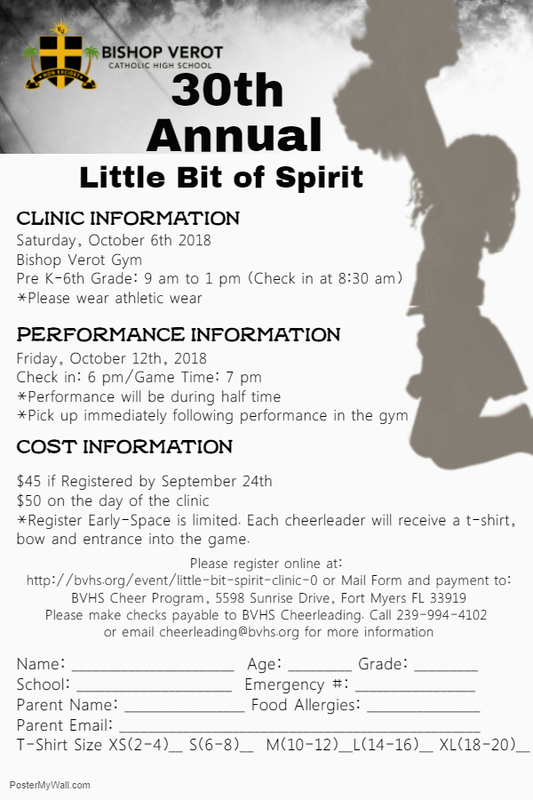 Registration includes a Little Bit of Spirit t-shirt, bow, and entrance to the game. Please click here to register online or click here for the Registration Form to register by check.